Both Nasdaq indexes and the Russell 2000 closed at record highs on Monday. 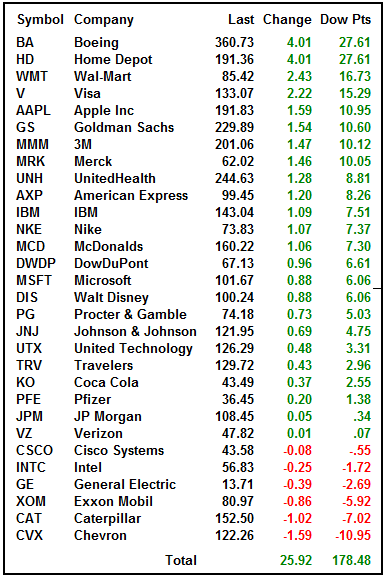 That represents 60% of the top five indexes. 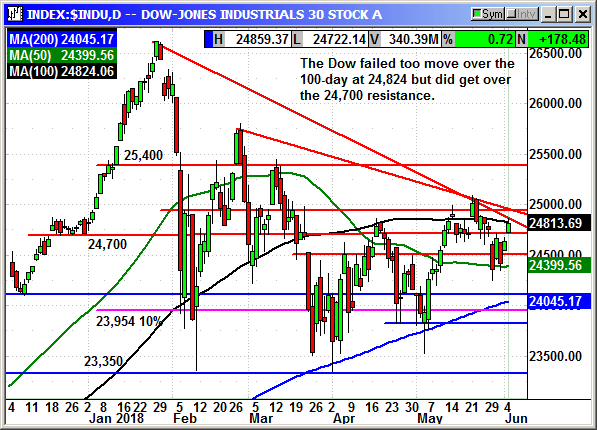 The Dow posted a very respectable 178 point gain but failed to close above the 200-day and three other levels of converging resistance. The Dow is still the laggard of the group. The challenge is still the political headlines. Not a day goes by that we don't get another round ot tariff headlines and the threats from our trading partners are growing in intensity. China is threatening to scrap all prior trade agreements if the U.S. tariffs against them are actually enacted. Canada, Mexico and the EU are joining forces to try and pressure the U.S. to back down. We already know that President Trump does not back down. If you threaten him, you should be prepared to bear the brunt of his fury. That means the tariff problems are going to get worse before they get better. 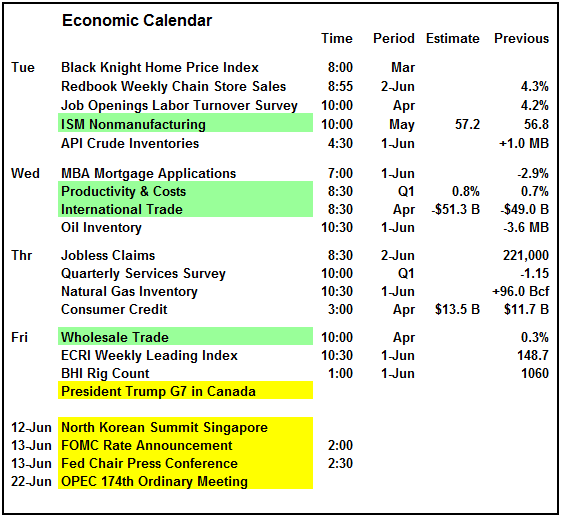 The economic calendar is relatively light this week but starting on Friday there are a string of critical, headline grabbing events. There is a good chance the market is going to fade late in the week simply because of the uncertainty surrounding these events. Traders are not politicians and they are more likely to take positions off before critical events rather than bet on a market positive result. 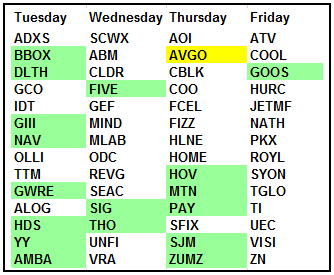 There are actually quite a few earnings this week with Broadcom the most watched on Thursday. 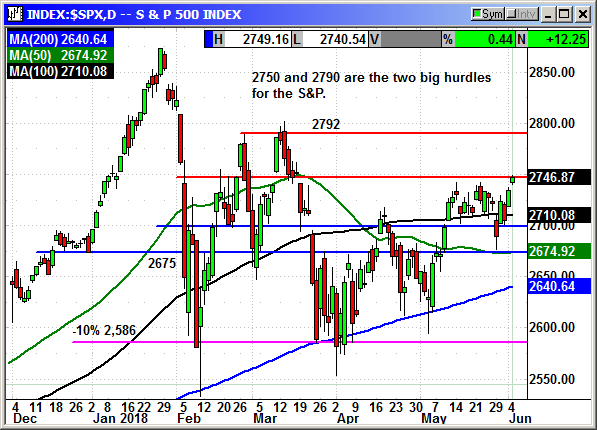 The S&P moved over congestive resistance at 2,740 but came to a dead stop at the psychologically important 2,750 level. This was the yearend target for many analysts after the January crash. 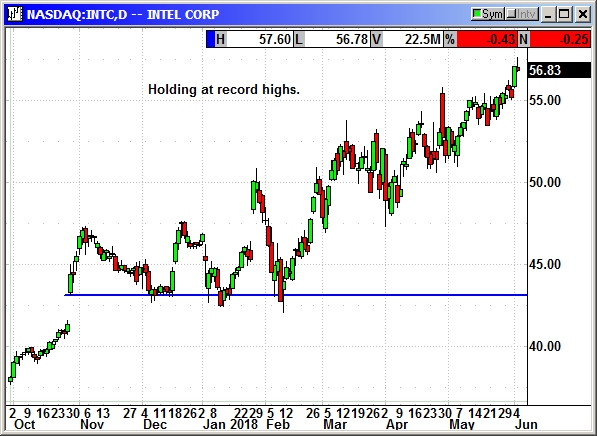 We still have six months in 2018 so the targets are in constant flux but the 2,750 level has a lot of analyst baggage attached to it. The Dow remains vertically challenged. With four resistance levels between the close at 24,813 and 25,000 that is going to be come hotly contest ground on the chart. Once successfully closed well over 25,000 the going should be easier. The next test is 25,400. 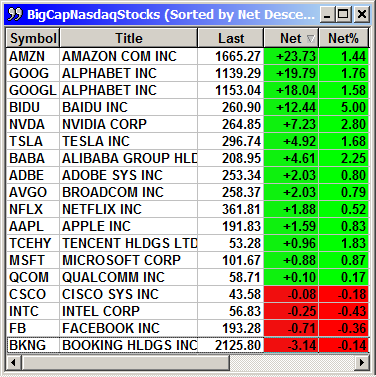 The Nasdaq indexes both closed at new highs but only by a few points. 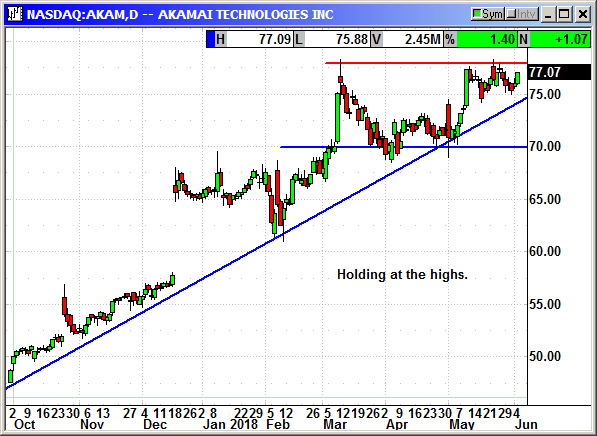 This is not a breakout and could easily turn into a double top. 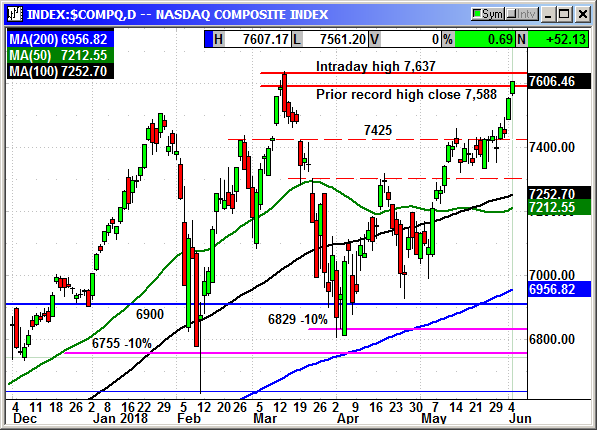 The Nasdaq is starting to reach overbought conditions as it fights the intraday highs. 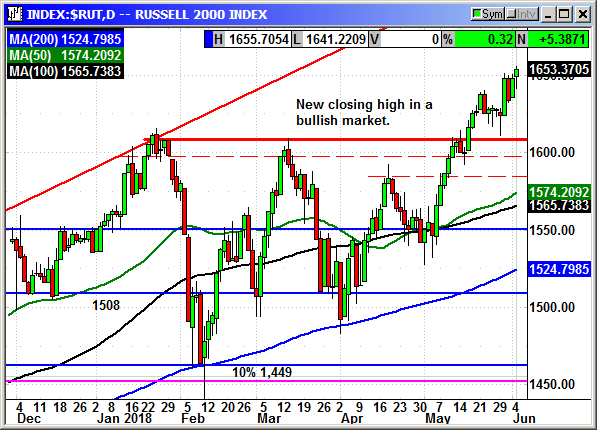 The Russell posted only a minor gain of 5 points but closed at a new high. 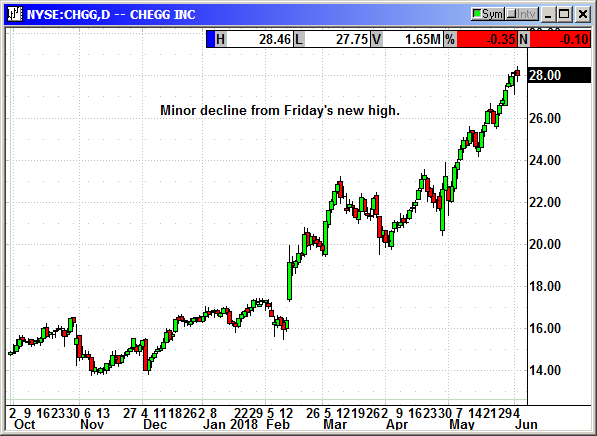 The index had stalled the last three days at the same spot and it closed today over that level. The small caps and the tech sector are lifting the market. I am positive on the market but I am still cautious until the Nasdaq closes over the prior intraday high by a wide margin and the Dow moves over 25,000. The tariff cloud is only going to get worse and it will eventually cause serious problems in the market. The Fed meeting next week could also be a pothole if they ramp up their expectations for rate hikes. 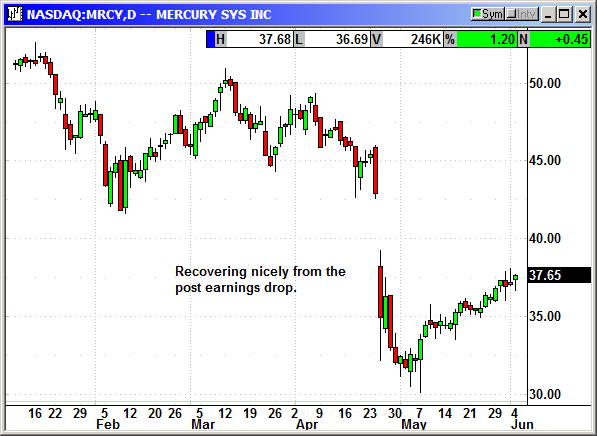 In April Mercury reported earnings of 30 cents that missed estimates for 35 cents. Revenue of $116.3 million missed estimates for $123.3 million. Mercury said government budget issues shifted $11 million in revenue into the next quarter. The company guided for revenue of $146.7-$151.7 million in the current quarter and significantly above Q1 levels. They raised full year guidance to $1.35-$1.38 per share on revenue of $464-$468 million. Shares were crushed for a $16 drop or -35% on the news. They have been rebounding steadily since early May. Bookings rose 41% to a record $150 million. They now have a record backlog of $429 million in orders. They are guiding for a 20% rise in revenue in 2018 with 23% EBITDA margins. I understand the reasons for the Q1 miss. Government budget deadlines are highly unreliable. Also, they just completed the acquisition of Themis Computer, which added additional onetime costs. With the raised guidance, the drop should eventually be erased. 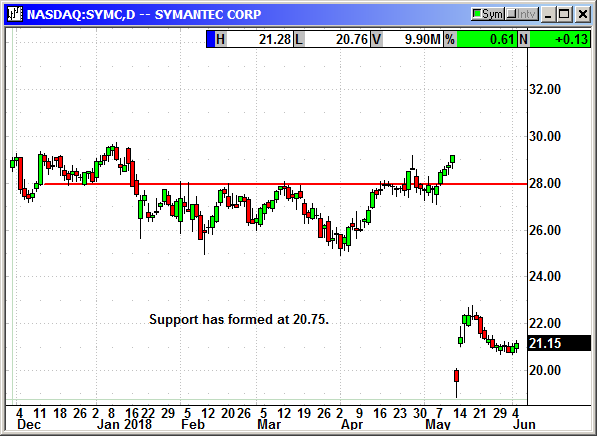 This is a tech stock in the defense sector. How much better growth and security could you get? Buy October $40 call, currently $2.60, stop loss $34.75. No specific news. Shares are recovering from the minor decline last week. No specific news. New high on Friday, minor 10 cent decline today. No specific news. Intel is rumored to be releasing a 5Ghz Core i7-8086K 40th anniversary processor in the weeks ahead. That would be their fastest i7 processor. With 6 cores and 12 threads it promises to be super fast in a desktop gaming PC. 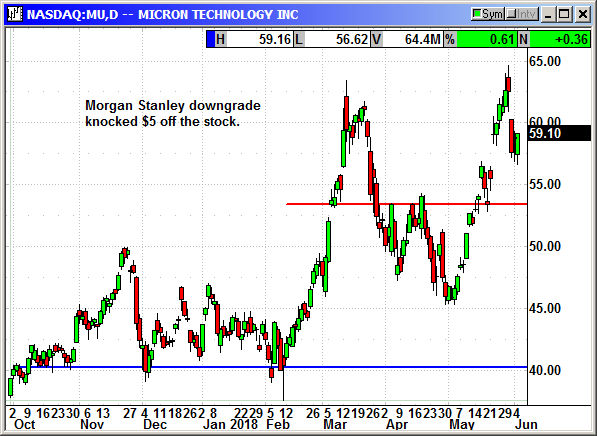 Morgan Stanley downgraded Micron from buy to hold with a $65 price target and shares fell $5 to stop us out of the position. I am recommending we reload this position using the August $62.50 option. Buy Aug $62.50 call, currently $3.90, stop loss $53.85. 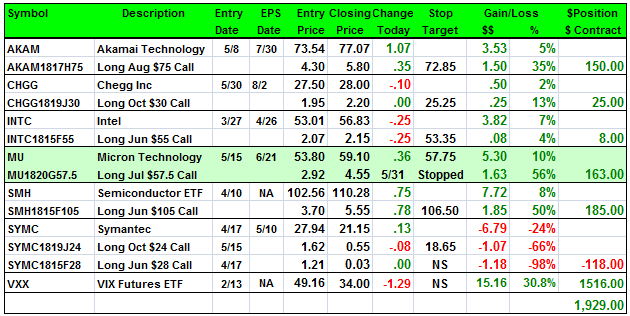 Closed 5/31: Long July $57.50 call @ $2.92, exit $4.55, +1.63 gain. 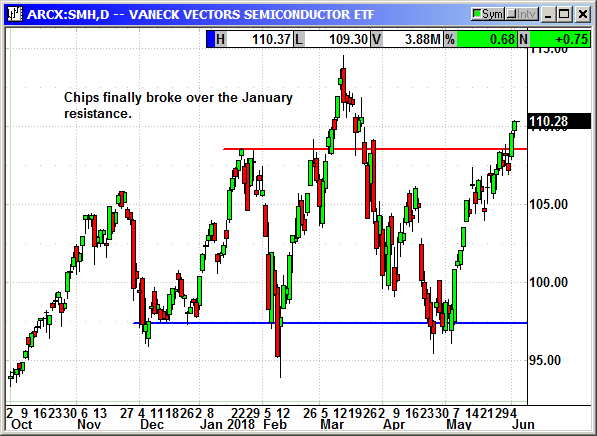 The sector finally broke over resistance from January. No specific news. The $10 drop killed the June position and we added an October call to capitalize on the longer term outlook. 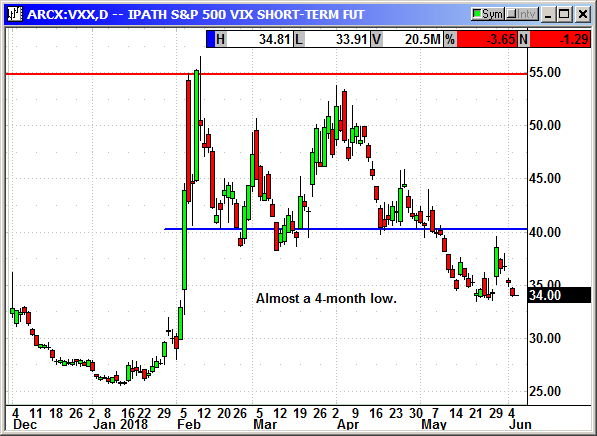 Volatility has fallen back to $34 and almost a 4-month low.